Being able to sell with words alone, regardless of where you’re physically located, is the most powerful skill you can have. And remember, this is coming from a guy who quit practicing law to do this. So I don’t make this claim lightly. Copywriting skills plus an Internet connection mean you can succeed from anywhere. And I don’t mean just as a freelancer for hire, although that’s always an attractive option. As an entrepreneur, you don’t even need to do the writing yourself. But understanding the art and science of effective copy is the thing that allows you to direct your content, copy, marketing strategy, and even your product and service development. When you know why and how people buy, you’ve got more power than you know. As long as you never lose focus on the buyer, that is. Copywriting isn’t that mysterious. We’ve got over 100 years of data on tested and true tactics that always work when you want more people to buy or take some form of action. If every business on the planet actually used these basic copywriting tactics to focus on the buyer instead of the seller, sales would increase across the board, thereby lifting the world out of global recession, saving the whales, and decreasing checkout lane impatience by 37%. 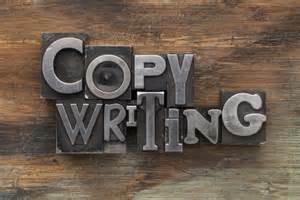 All jokes aside, the fundamentals of good copy simply work, even if powered by uninspired writing. Using better headlines and clear and specific language, highlighting benefits over features, offering proof, having a clear call to action, and reversing buyer risk with a guarantee can boost your conversions significantly. Of course, not everyone does these basic things. Often it’s simply because they don’t know how or just plain forget. The basics are what I call “better than nothing” copy. So what’s the difference between basic copywriting fundamentals and the blow-out brilliant promotions that change lives and catapult businesses to insane success? It’s amazing how tweaking little things can boost conversion. Headlines, button colors, word choice — all of these can be tested to see what works better. But that comes later. It’s how you begin that makes the most impact on the effectiveness of any piece of copy or promotional piece, whether text, audio, or video. This is exactly what I didn’t “get” when I was first learning copywriting. I would read a book or two, and it all made sense to me (in fact, I found it fascinating). But when it came to actually writing copy, I had no clue what I was actually trying to achieve. The big picture was completely lost to me. So, that’s what this document is intended to do — help you understand from a big picture standpoint what you must do to write effective copy, how to come up with the critical concept that drives a successful promotion, and how to execute on it. The most important aspect of copy that works is how well your message matches up with the way your prospective customer views things. You’ve got to understand their motivations and desires. You’ve got to match their basic expectations and then exceed them. Show me what a person admires, and I’ll tell you everything about them that matters. And then you’ll know how to connect with them. You’ll know how to cheer up your new neighbor when you understand what she admires. You’ll know how to sell the man looking into your face when you understand what he admires. You’ll know how to attract future customers through your ads when you understand what they admire. This is how you find a winning premise.